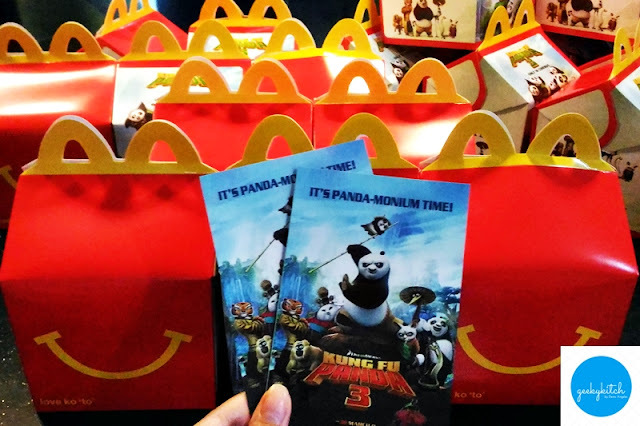 Everyone's excited to see Po and his friends on another adventure this March 9 and McDonald's wants to make it even more special for you and your kids! 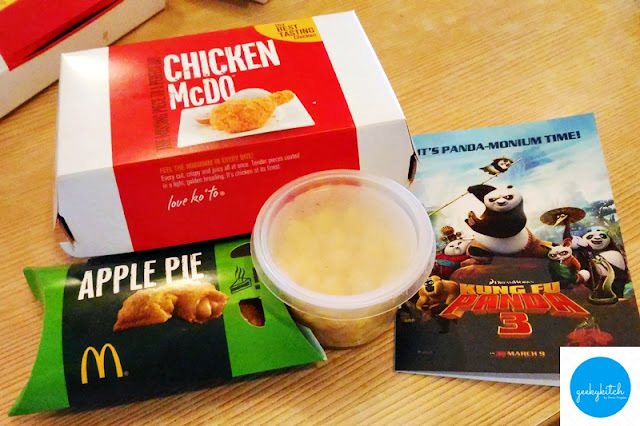 We were invited to the advance screening of Kung Fu Panda 3 (which I will talk more on my main blog) hosted by McDonald's at Greenbelt 3 Cinema 2 last March 5. They shared good news for the said movie's and Happy Meal fans. Kids and kids-at-heart can get their hands on a new set of famous Kung Fu Panda characters in McDonald's Happy Meal! 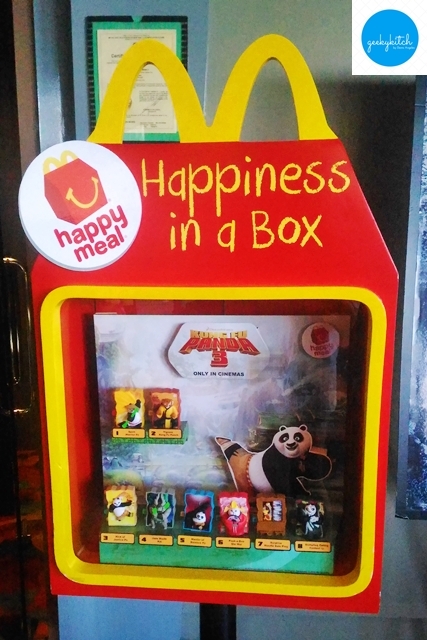 Collect all eight Happy Meal toys - Po's Kick of Justice, Po's Master of Balance, Spirit Warrior Po, Dumpling Eating Contest Li, Jade Blade Kai, Peek A Boo Mei Mei, Surprise Noodle Sale Ping and Tigress Kung Fu Punch. Connect them side-by-side and the characters will do their signature move simultaneously with a push of a button. A timeless favorite snack among Filipinos (which is abundant during summer) is also making its way to McDonald's - corn! You can now choose between McDonald's fries and a yummy corn cup to complete your Happy Meal. Corn is a great source of energy to be able to train like Po, focus like Master Shifu and conquer obstacles like the Furious Five. Both offers are available at all McDonald's restaurants nationwide through the front counter, Drive-Thru, or McDelivery by dialing 86-2-36, visiting www.mcdelivery.com.ph, or by ordering through the McDo PH App, available for free in both Android and iOS. Gather your family and friends and head over to your nearest McDonald's to discover the kind of happiness only a Happy Meal can bring! Better if you do before or after watching Kung Fu Panda 3! Wow! It isn’t available now. I wish I bought it that time. I was a big fan of this movie but a happy meal never struck my mind. Anyways, I will keep an eye now. Also, I found some new shows by Andy Yeatman online and I hope they have happy meals too.